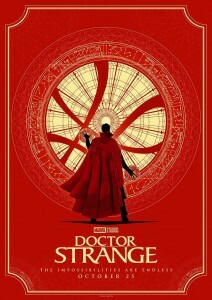 Plot: After a horrible car accident, brilliant neurosurgeon Stephen Strange must find a way and a cure to healing his hands. His quest brings him to Kamar-Taj in Nepal where he studies under the Ancient One, who teaches him the ways of magic and alternate realities. With new skills of interdimensional travel and spells, Strange soon discovers that he must protect the world from a deadly enemy who is out to destroy it.